Why you should not understand Internet of Things as merely a telecommunication method. 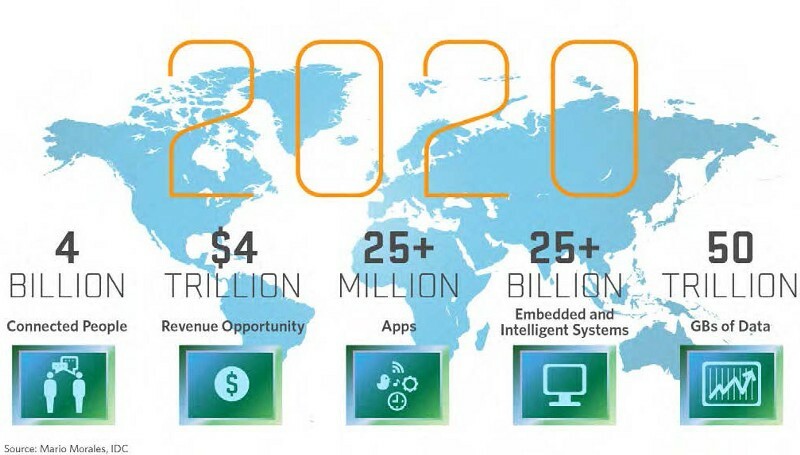 Have you heard of Internet of Things (IoT)? This buzzword, which you probably have heard from recent newspapers, TV, or social media, is one of the most popular trends in the world. The concept of IoT is expected to be expanded, beyond IT and electronics, to the scope of dealing with all objects in the world. There are predictions that the company which can dominate this area will dominate the whole industry for the next decade. A huge change is coming to our era. Is it too hard? To make it easier think of it this way. Until now, only humans had access to the web, but in the IoT era, objects will be able to access the web and become “smart”. What do we humans do on the web? We exchange information, play games, save data, create knowledge, and did so many other activities. Now objects will perform these activities, too. Objects will exchange information, play games, save data, even create knowledge. This kind of world is the era of IoT. The era that objects communicate with each other through the web is coming! Today I would like to talk beyond what is IoT, about what these “things” mean to humanity and how they will influence our lives — thus, the sociological meaning of IoT. Sociology may sound very complicated, but it is actually not too hard. For example, let me explain what is the difference of dictionary definition and sociological meaning by the example of Wi-Fi. According to the tech dictionary, Wi-Fi is a close-range telecommunication technology that enables wireless Internet connection. The definition may be an accurate description of the technology, but does not explain anything about what the technology means to us and how it changes our daily lives. Like this example, looking at how our lifestyles and the ways of thinking changed according to the advent of a certain technology is taking a sociological perspective. How did Wi-Fi affect our lives? Unlike the computers in the past that were limited to be connected to the web through cable, nowadays mobile devices are connected for almost no cost. This dramatically increased the number of people connected and, as a result, led to a huge breakthrough on the amount of information and value in the web. Wi-Fi empowered the web to become the dominant source of information in the modern society. If it were not for Wi-Fi, would such vast amount of information be supplied at such speed and cost? There may be alternatives, but still I doubt it. As for this example of Wi-Fi, the sociological meaning of something is identifying how it affected humans and their lives. What meaning does Internet of Things have in a sociological perspective? Let’s look at how things changed before and after the emerge of IoT. Before IoT, there was a concept of M2M (machine to machine), which means machines communicate with each other. Isn’t it a concept that already existed? Haven’t we been using remote controls to change our channels on TV? Isn’t this M2M? No, M2M is different in that the communication is initiated independently without any human interference. For example, if remote control accordingly tells the TV to turn on, being “smart”, then it is considered M2M. IoT takes one step further. If M2M focused more on one machine to another, IoT covers many-to-many communication as default and expands the concept from merely “machines” to “things.” Thus, whereas M2M was only about communication among electrical devices like TV and smartphones, IoT makes ordinary objects, such as cups, books, or chairs, into “smart” things that communicate and create information and value. How do objects become smart? Even with any great technology, any object can have intelligence or wisdom from scratch. Whether the object tracks user’s behavior to personalize its intelligence or uses artificial intelligence algorithms like deep learning by collecting data, the object needs to collect knowledge and wisdom of humans. For example, let’s consider a remote control predicting when to turn the TV on at the right time. It needs to track many data like user’s usage patterns, emotions, locations, or other stuff to become intelligent for a specific user or receive data from the server which has accumulated data from other users. Hence, IoT is possible only with constant interaction with humans. For this reason, to broaden the understanding, IoT should be considered as Internet of Things and Humans. There are already many people who insist this concept. 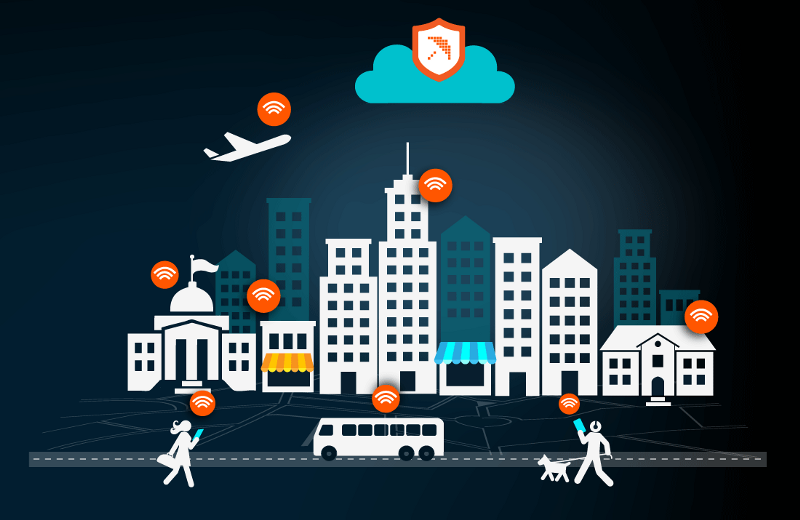 IoT considers all players in the network as the same, human or object. Objects will obtain and save more information and act like humans by making decisions and presenting arguments, and humans will produce more digital data of themselves — speech, behavioral, or biological information — through sensors and computers and communicate more closely with objects. IoT should be considered as Internet of Things and Humans. Until now, there were not many things that an object can do. Books were just left on bookshelves for decades, and the piano that I seldom play just stayed in my room. However, if objects obtain sensors (senses) and data processors & storage (brain) with communication devices (language), then they will start working and produce meaningful value. For example, let’s say my piano has been collecting my usage patterns, but I recently stopped playing as often. Then the piano can figure out that itself cannot provide meaningful value to the user anymore, search the web for the price of itself on the secondhand market, and propose the user to sell itself if he or she does not want to keep playing. By combing the usage pattern and online market information, the piano can offer a potential option to the user. If the user accepts the offer, it may be able to send a message to the possible buyer. 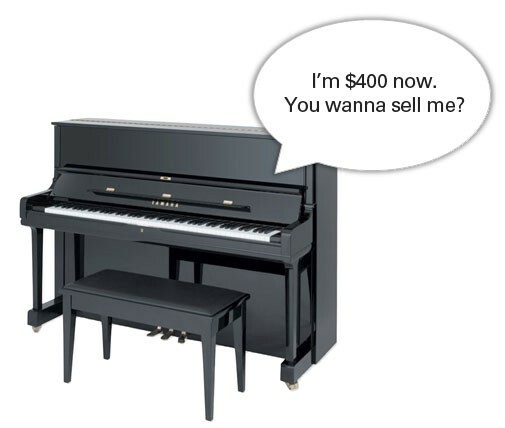 Maybe the piano will ask a down payment for itself. Object will utilize data produced by the user, tell opinions, and communicate with humans to create value. In this future scenario, did the piano behave like an object or a human? If the concept of IoT is understood for not only objects but also humans, the scope of one’s thinking can be expanded vastly. It will not merely be a technological issue of how objects communicate, but a different perspective of how objects communicate with humans and how humans will tell objects their intentions as if they were one of us . In a technological perspective, the question becomes, “what kind of objects, sensors, or protocols should be considered?”, but in a sociological perspective, the question changes to, “if objects become like humans, what would be needed and what future would such situation bring?” This kind of approach also corresponds to user experience (UX)and human-centered innovation (HCI) thinking. Now, let’s broaden our imagination to this question. Firstly, objects will be able to produce information, just as humans do, so wouldn’t they be able to earn money according to their value? Then, objects should have their own bank (virtual) accounts. Some “competent” objects may get rich. Secondly, there may be conflicts of interest between the manufacturer of the object and the owner of the object on the property and ownership rights of the produced data. If a company makes money from those data collected from the users, users may ask for their rights of the data. In this case, the objects may decide the reasonable split of their incomes between the manufacturer and the user. If the objects earn money and divide the income to the manufacturers and users, then there will be more financial transactions done by objects as agents, much more than the current one which is only by humans. The player who dominates this unique online payment market may be able to acquire enormous wealth through taking commissions from these transactions. To enable all these, objects will need to have identifications as if humans have social security number or passport numbers. Objects need to be identified in the online world, so the identification method should be both unique to avoid overlap and easy for humans to understand. Online security will be another important issue. If objects can have virtual bank accounts, they may earn money. If you look at IoT in not only technological perspective but also sociological perspective, you can easily imagine various “non-Sci-Fi” future images resembling our everyday lives. On which perspective and what future do you want to draw? And how will you correspond to this changing future?